In the wake of Turkey disturbing deployment of troops in Iraq, Moscow hopes that Ankara will avoid escalating situation in the region with any further reckless actions, including in the territory of Syria, said Russia’s UN envoy following a UN Security Council meeting. "We hope that this concern that the UN Secretary-General and several members of the Security Council had shown during the meeting we had convened, will cool down the hot heads in Ankara, that they will settle the situation in Iraq in the way that would satisfy the Iraqi government," Vitaly Churkin said. 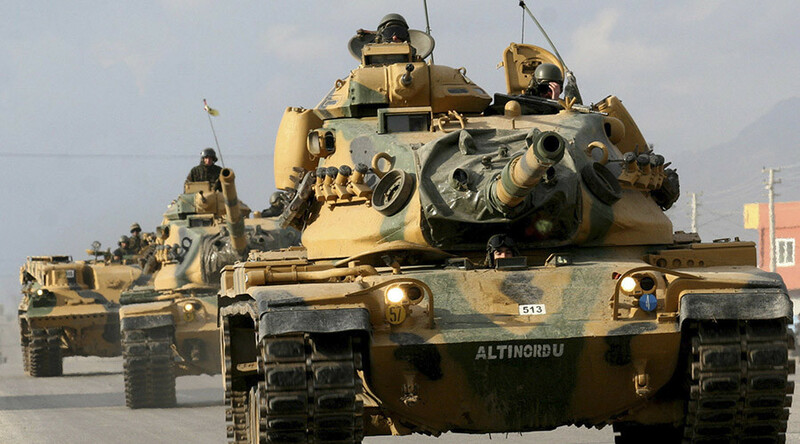 Up to 150 Turkish troops equipped with tanks and artillery crossed into Iraq’s northern province, allegedly to train forces battling Islamic State (IS, formerly ISIS/ISIL). Turkish troops did not simply cross the Iraqi border into the Nineveh province, but penetrated 100 kilometer into Iraq, reaching the Bashiqa region, about 10 kilometers northeast of Mosul which has been occupied by IS terrorists since mid-2014. "I have come to the conclusion those actions were unexpected for the US, which is rather strange, which once again proves Turkey is an unpredictable player, which may undertake actions that not only cause protest among the Iraqis, but may even bewilder the US," Churkin added. “But now the situation is within the focus of the attention of the Security Council, so we hope it will help resolve the situation to the satisfaction of the Iraqi government, whose sovereignty, territorial integrity and independence will be respected,” Churkin concluded. Iraqi Ambassador Mohamed Ali Alhakim reiterated that Baghdad considers the deployment of Turkish troops “illegal” and in violation of the UN charter, demanding their withdrawal. However, he added that Baghdad and Ankara want to resolve the issue in bilateral discussions without raising the issue with the council. Turkey has ignored Baghdad’s ultimatum to withdraw its troops and, according to the Iraqi PM, was lying when it said it received Baghdad’s blessing to invade part of its territory. Meanwhile Ankara claims that heavily armed troops are necessary to protect an Iraqi Kurd training mission, which is taking place near the frontline with IS.